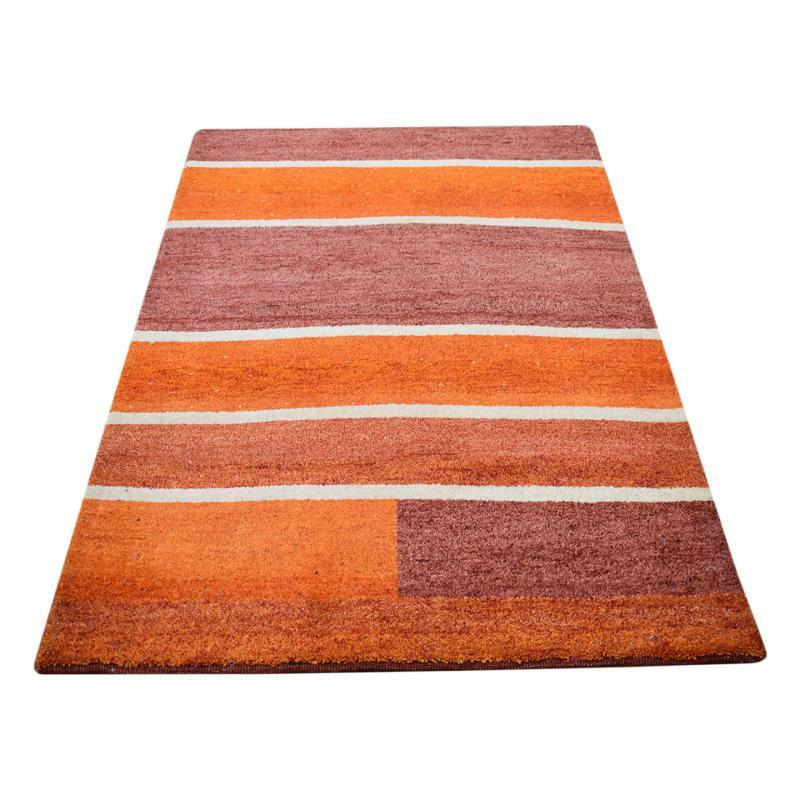 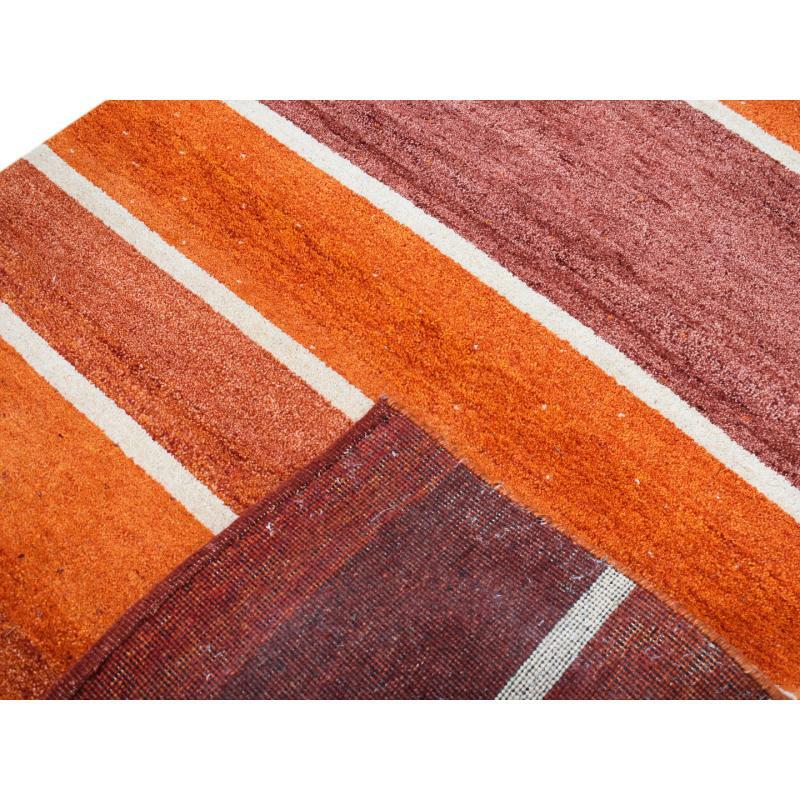 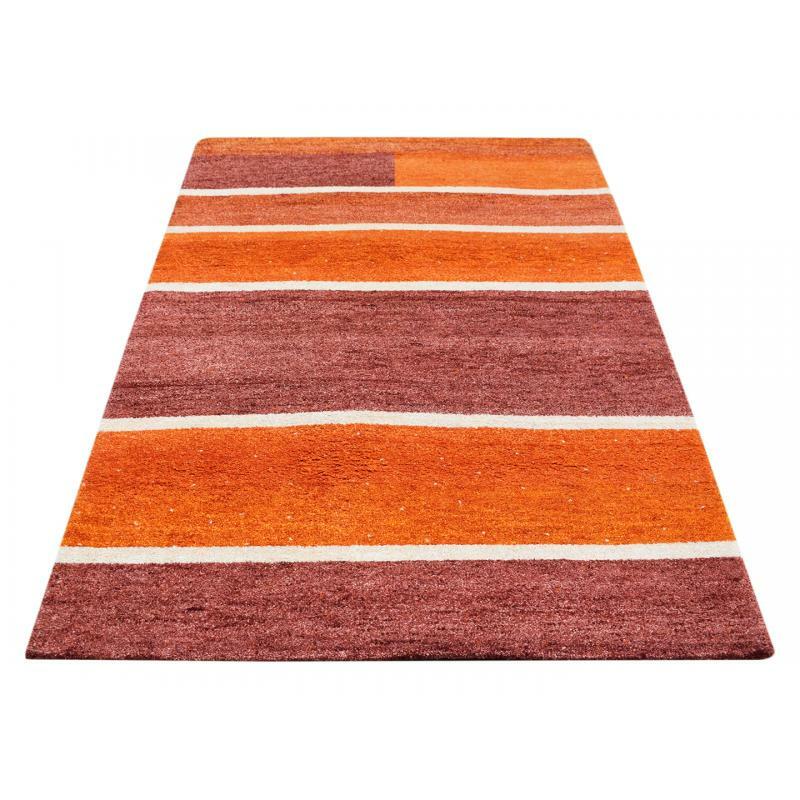 A perfect Oriental Modern, gabbeh, hand made rug made by using 100% wool by expert craftsman. Simple classic Striped design in orange, cream & red colour. 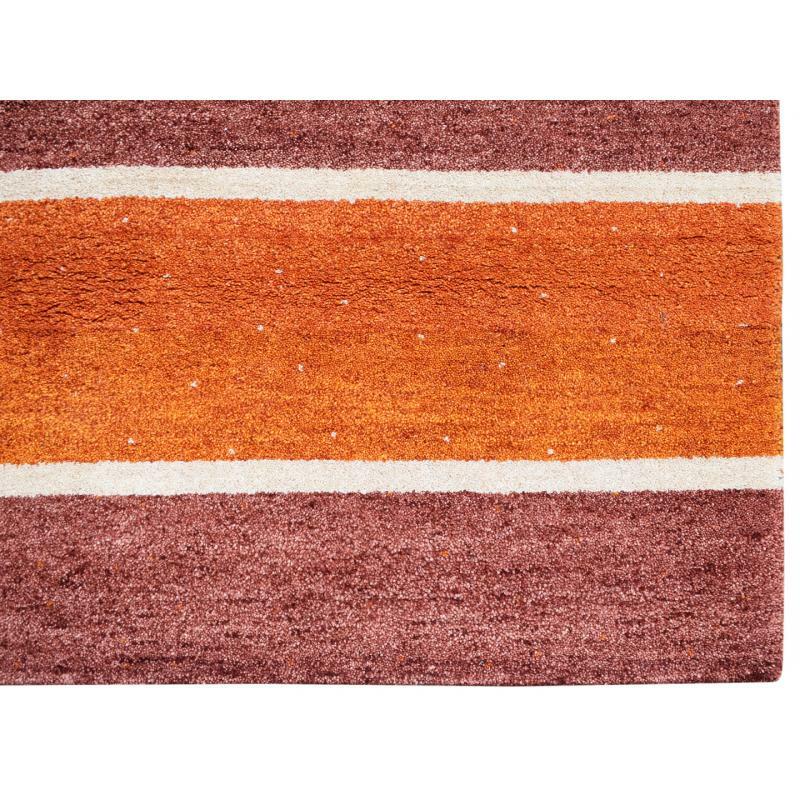 This rugs comes in 4 X 6 ft. size which would go perfect in any room and would definitely add more appeal to your home.